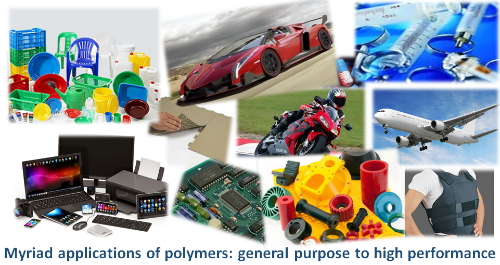 Shoes, clothes, bottles, computers, pens, balloons, plastic chairs, and countless other objects we use every day either contain polymers or are made up of them. Ruchi Pal, a research scholar with the IITB-Monash Research Academy, is working on a system that will hopefully generate chemical fingerprints of polymers, so that we can use them more effectively! A polymer is a substance that has a molecular structure built up chiefly or completely from a large number of similar units bonded together. It forms a part of a wide variety of technologically important materials. The properties of these materials depend on their micro- and nano-structures, and the study of this structure-property correlation is critical to understanding polymers. Ruchi, whose project is sponsored by SABIC, plans to analyse polymeric systems using Electron Energy Loss Spectroscopy (EELS) in conjunction with a Transmission Electron Microscope (TEM). The IITB-Monash Research Academy is a collaboration between India and Australia that endeavours to strengthen scientific relationships between the two countries. Graduate research scholars like Ruchi study for a dually-badged PhD from both IIT Bombay and Monash University, spending time at both institutions to enrich their research experience.